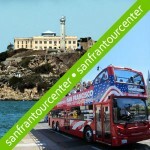 Eight hour Exclusive Tour! 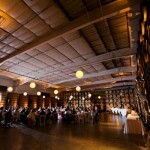 Limousine Coach – Host Services Photo op at Golden Gate Bridge overlook Mimosa Breakfast – 4 Course Picnic Lunch Cheese & Cracker Tray – Barrel Tasting Garden Experience – Olive Oil Tasting Winery Tours – Tasting at 4 Wineries. 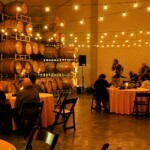 This Wine Country Tour departs from San Francisco and is a Golden Gate Bridge to Bay Bridge Napa – Sonoma wine and food experience. All our vehicles are limousines, limo vans and party buses. Once on board, enjoy an early “Wine Country Breakfast”…croissants, bagels, cream cheese and fresh fruit is served. 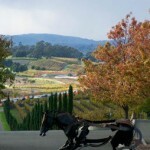 Your knowledgeable chauffeur will point out sites of interest and answer questions as you travel to and through Wine Country. 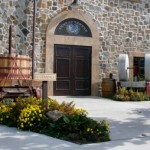 Among the wineries and sites you may visit are Jacuzzi Winery, The Olive Press, Cline Cellars, Madonna Estate, and Hagafen. 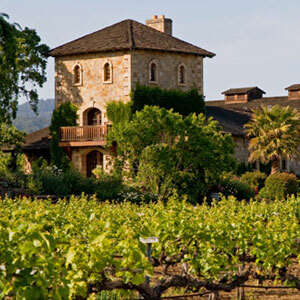 These wineries, as diverse in appearance as in the wines they offer, represent a wonderful cross section of delectable tastes in both Sonoma and Napa Counties. 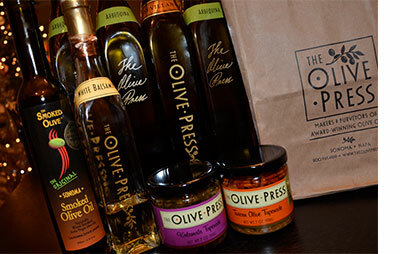 For the foodies, an olive oil tasting by The Olive Press should please the senses. Cornerstone Gardens, the unique outdoor landscape museum, offers a relaxing spot, full of flavor and sensual surrounds; wine, food, art, shopping and gardens can be enjoyed at whim. From the Bay Bridge to the Golden Gate, flavors abound. And, yes, our picnic lunch will please you: a turkey roll complemented with an olive pasta, mozzarella-basil skewers, falafel and humus and seasonal dessert. Yes, it’s that Jacuzzi family, known for the invention of the Jacuzzi pump and spa. 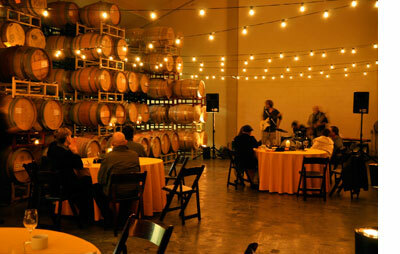 Hear their story and how the Jacuzzi Family Vineyards are farmed the “Green String” way; naturally and sustainability. 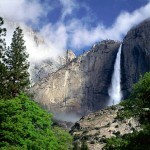 They do not use pesticides, petroleum-based fertilizers or herbicides. They challenge the conventions into healthy farms. 15% off wine purchases. 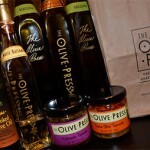 The Olive Press is an original, highly awarded California Olive Oil producer. It began in 1995 by Ed Stolman (Lunigiana) & Deborah Rogers (Marquesa), two California olive growers inspired by the olive pressing facilities of Italy and Southern France. 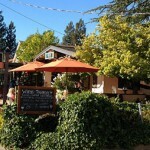 off the square in Sonoma. 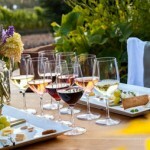 The Roche family does not sell its wine in stores and now produces more than ten varieties of wine including Pinot Noir, Chardonnay, Merlot, Syrah, and Cabernet Sauvignon as well as several dessert wines and proprietary blends. 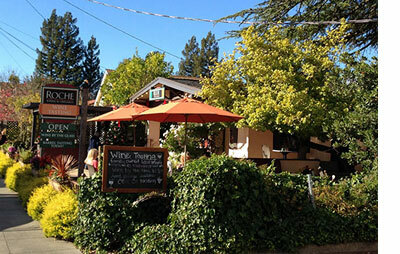 Sip these hand-crafted wines while enjoying the ambiance of downtown Sonoma. 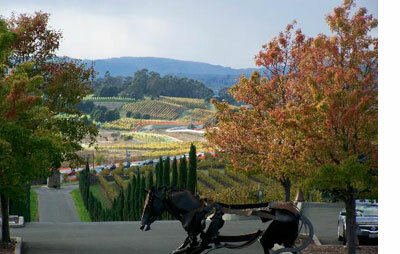 By California standards, Roche is a small winery producing only 5,000 cases per year. 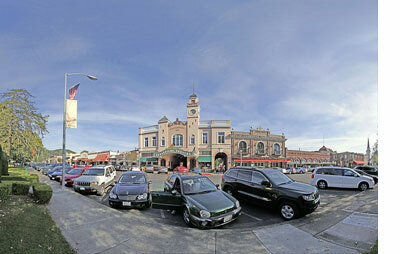 9 acres, the largest plaza in California – surrounded by trees, fountains, historic buildings, shops, restaurants and tasting rooms, is the perfect place for strolling, window shopping and wine tasting. 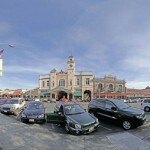 The town hall, in the center of it all, has even been the back drop for several Hollywood movies. 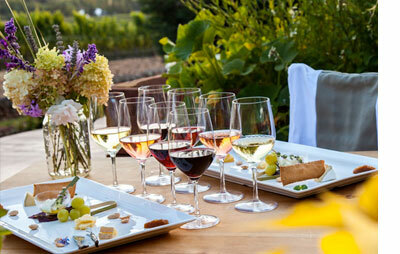 Enjoy a walk in the vineyard (weather permitting) before sipping Madonna Estate wines. 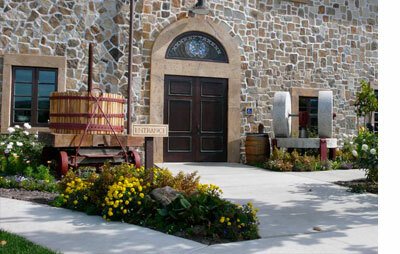 These Napa wines have been handcrafted by the renown Bartolucci family for over 80 years. They are created from 100% organically grown grapes which are dry farmed on the estate vineyard, Madonna Estate produces 10 varietals, including Chardonnay and Pinot Noir, for which the Napa Carneros region is best known. This third generation of Mondavi takes his 30 years of experience and family “secrets” to create a wine selection of fine quality. From the growing season to the blending process, the utmost care is used to deliver what is expected from a Mondavi wine. This property is separated into lots that are evaluated each year and hand-picked to produce the very best the vineyard has to offer. Reata Winery is nestled in the rolling hills of lower Napa Valley, the perfect climate to produce the grape…warm days and cool nights. 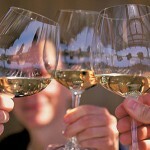 Pinot Noir and Chardonnay which can be a bit temperamental, smile brightly on this property. On the ranch is the now famous “beeline”, an immense beehive. Honey tastings are also provided at the winery. 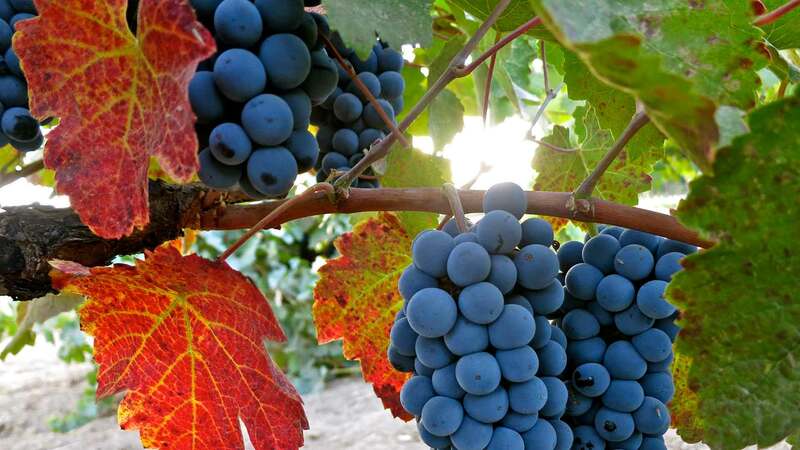 Hagafen specializes in small-lot releases of many different varietals which allow them to hand-select and produce the absolute best of each year’s production. Vintner Ernie Weir wants to make one thing perfectly clear: Yes, his wines are kosher; but first and foremost, they are award-winning Napa Valley wines. As testament to his expertise, Hagafen wines have been served in The White House since the first Reagan administration. 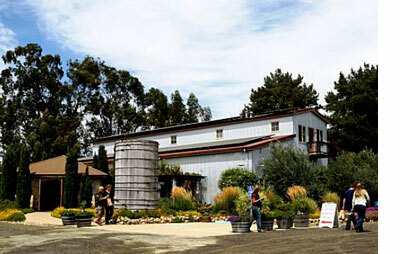 Cline Cellars has earned a reputation for producing some of the finest Rhone-style wines and Zinfandels in California. Indeed, Fred Cline was a pioneer in planting syrah, viognier, marsanne and roussanne grape varieties in the Carneros region. 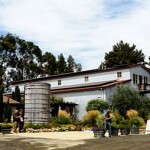 The tasting room is located in an 1850’s farm house, surrounded by ponds and flowers, on the site of a Miwok Village. 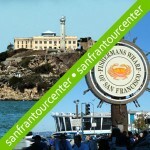 8 hour Exclusive Tour! 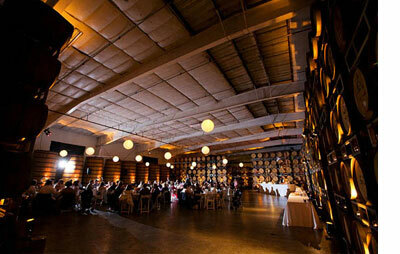 Limousine Coach – Host Services Photo op at Golden Gate Bridge overlook Mimosa Breakfast – 4 Course Picnic Lunch Cheese & Cracker Tray – Barrel Tasting Garden Experience – Olive Oil Tasting Winery Tours – Tasting at 4 Wineries.